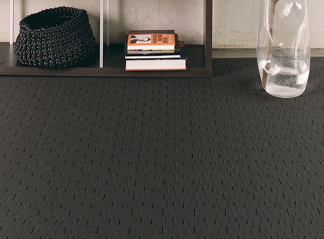 Our woven vinyl, “Plynyl,” floor covering comes in roll or tile format. It can also be used as a wall covering, upholstery fabric and produced as a custom sized matt/rug. It comes in 3 different styles (Bamboo, Basketweave and Ikat) and various different colours. The Plynyl Roll Wall to Wall covering with its soft and resilient polyurethane cushion and richly woven vinyl texture and colour was recognised as a truly innovative flooring product when it was introduced in 2001. All of our Wall to Wall products come 180mm wide, except Basketweave which is 140mm wide. Plynyl wall to wall installations require a clean, dry and smooth sub-floor. Plynyl wall to wall is easy to maintain – vacuum and damp mop. A periodic deep cleaning may be required depending on the use. Cleaning and maintenance information available from Surface Plus.